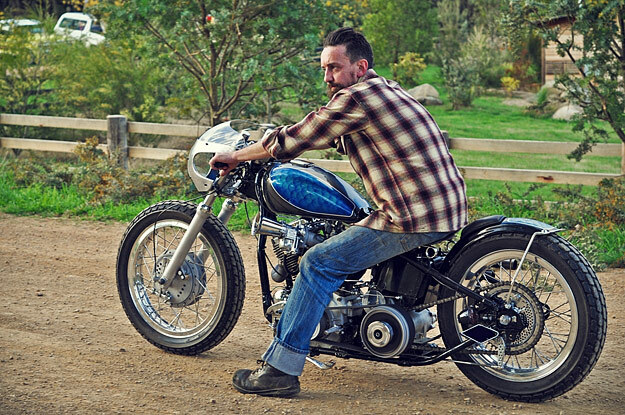 Last month, I had the privilege of meeting one of Australia’s most renowned custom bike builders, Matt from Machine. 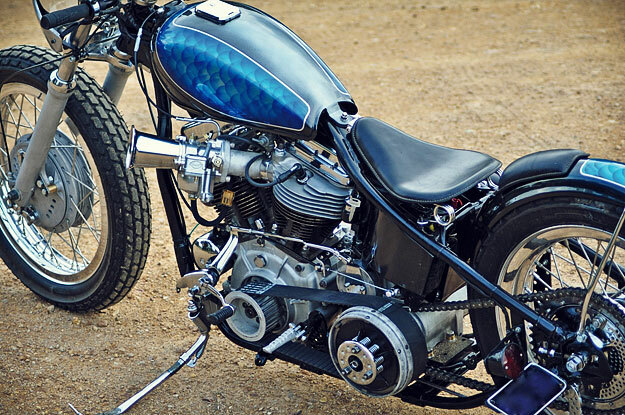 This Harley Panhead is his latest creation, and it’s just made it onto the cover of Greasy Kulture magazine. Matt built this bike for his good friend Joe, and its styling takes a little “from all the bikes we’ve loved and owned between us.” The base was a 1950 Panhead that Matt found on eBay in the USA, and as you might suspect, the bike wasn’t quite as described in the ad. “The frame was so full of cracks that I had to TIG over every single weld to repair it,” says Matt. “I have 40 hours in the frame alone.” The engine was in better shape, having already been rebuilt. 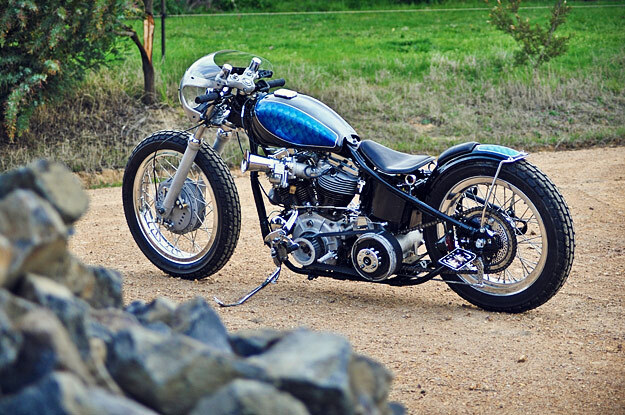 Everything else was handmade or modified to fit, in Matt’s workshop in the rural New South Wales heritage town of Braidwood. 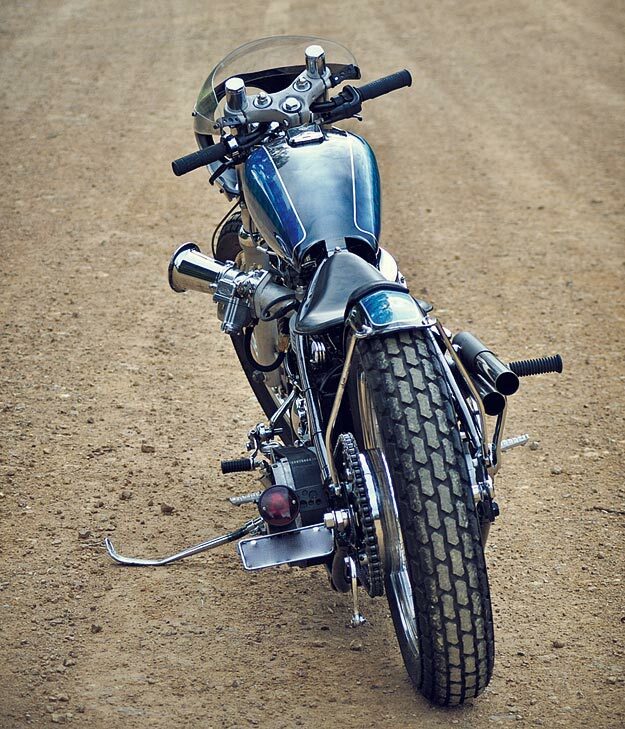 The tank is a Kawasaki item, the fender is from a Yamaha, and the front end was taken from a Harley Sportster. 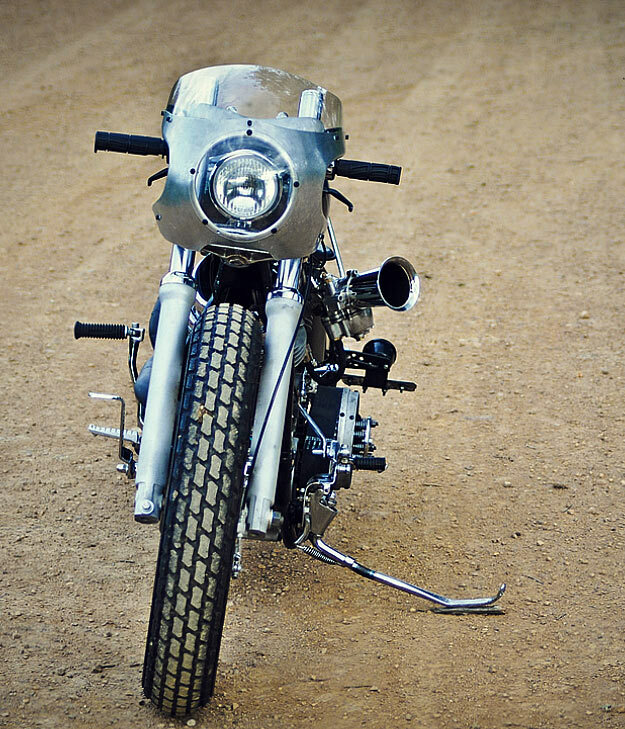 The front brake is a Kawasaki twin leading shoe unit, and the fairing is a heavily modified aftermarket piece. Matt also made the bars and the pipes, plus the manifold for that crazy looking S&S Super E carb with the velocity stack. He even laid on the stunning paint. He’s a talented guy; as well as building bikes, he’s an architect and furniture designer whose work can found in leading Sydney restaurants. 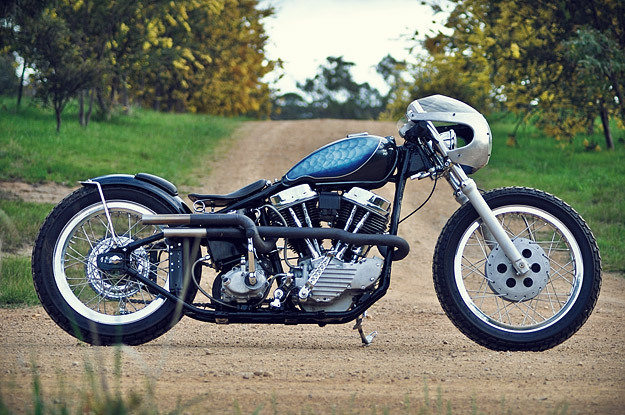 As this Harley Panhead shows, Matt has an architect’s sense of line and proportion. Thanks to Guy Bolton of Greasy Kulture: order your copy here. Images by Matt and Kelly Sturgiss.